People come to Myrtle Beach from all over the country. We often talk to prospective buyers who tell us they are thinking of buying a second home for family vacations. What is most interesting is that they often have three or four different areas that they are considering. 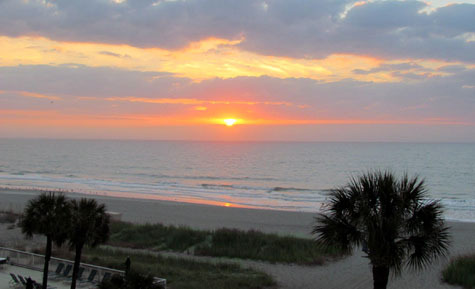 North Myrtle Beach real estate consists of oceanfront condos, channel homes and beach villas. By far, the most popular resort in North Myrtle Beach is Barefoot Resort. Condos like The Havens, Ironwood and the Barefoot Yacht Club Villas are just a few that attract attention from visitors every day. The Myrtle Beach real estate market is full of condos and has some fantastic golf villas and oceanfront homes. Grande Dunes is the all-time favorite for luxury homes, but the south end has many fine communities like Prestwick and Prince Creek. A little west of the beach is Carolina Forest, which may be the most popular family community in the Grand Strand. Charleston real estate has a little of everything. You can find beach houses, condos, historical homes and golf resorts. North Charleston has the industry, Summerville is perfect for families and businesses, and the many nearby islands are...just what you'd think...paradise. Hilton Head Island has the luxury condos, golf villas and oceanfront homes, and some of the most famous golfing in the US. South Carolina has a lot of coastal options for those looking for seconds homes and beach retreats. Now that you know where to purchase, you need to determine when to purchase. It is common knowledge that interest rates are still at record lows. Common sense tells us that they will eventually have to go up and that will drastically increase the costs of second home ownership. They key with owning a second home is to make sure that you can afford the ongoing expenses. Based on the decline in property values over the last 7 years and the low interest rates, there will not be another time where the expenses will be this low. Another important part of buying real estate is the agent and the company you choose. The Harrelson Group has three offices to serve your needs. One is located in each of the markets mentioned above. Great article and summary of the best blogs out there.I agree with all of these!